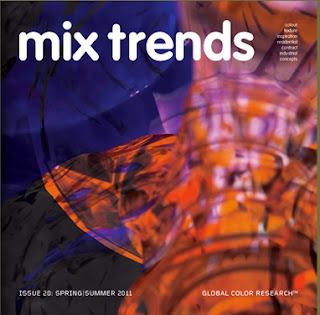 I can't wait to start subscribing to Global Color Research's Mix Publications, Mix Magazine. Global Color Research is a creative colour consultancy which is recognized internationally for its accurate color trend forecasting. The team is composed of colour experts, trend analysts, photographers, creatives and marketers, the creators of Mix Publications.